You can help make high-quality early childhood education a reality for more children in Monroe County. The Community Foundation has launched the Thrive by Five endowment campaign. With a goal of $1 million, the Lewis Fund for Early Childhood Education endowment will support the needs of young learners today, tomorrow, and forever. Funding will be used to sustain and support Monroe Smart Start‘s early learning initiatives, including increasing access to high-quality education, improving quality of programs, cultivating family engagement and community partnerships, developing training opportunities for educators, and providing required community matching funds for On My Way Pre-K students. Elliot Lewis and his family have established the Lewis Fund for Early Childhood Education, the official endowment of the Thrive by Five Campaign, with a generous $100,000 gift. Donate now to help give our children the tools they need to succeed in school and in life! or Mail a check to CFBMC, 100 South College Ave, Suite 240, Bloomington, IN 47404 (include “Thrive by Five” on the memo). 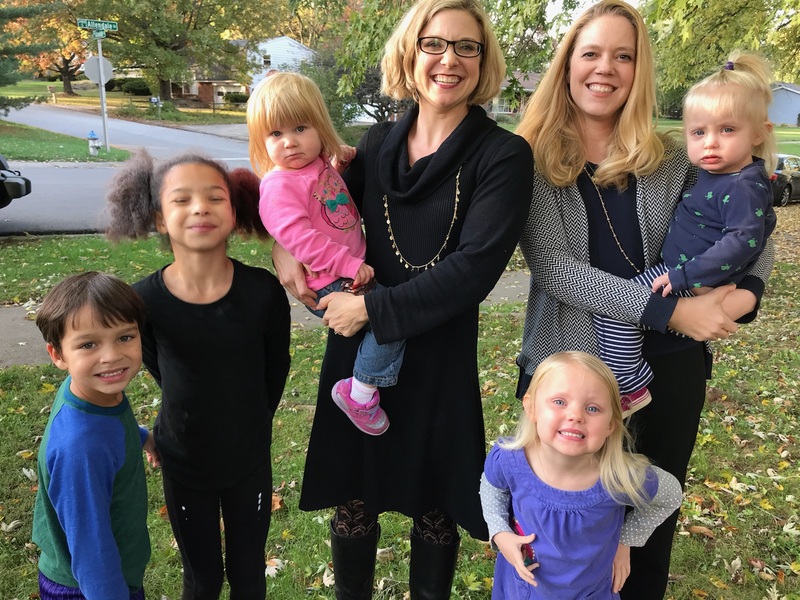 The Thrive By Five Campaign co-chairs, Jessika Hane and Jessica Merkel are leading the charge to invite the Monroe County community to join together so every child is prepared for school and prepared for life. Since 2009, the Community Foundation has invested more than $1.4 million in Monroe Smart Start to support high-quality, early learning in Monroe County. Provided funding to establish six tuition-free preschool classrooms in MCCSC Title I elementary schools and an additional classroom at the MCCSC Early Learning Center. 140 additional tuition-free early childhood education seats created, increasing access to affordable, high-quality early learning for children most in need of support. Funding for increased child care capacity at high-quality nonprofit early childhood sites. 132 additional seats for low-income children. Improving quality of local early learning by increasing numbers of sites participating in Monroe Smart Start Quality Cohorts and professional learning communities that provide materials, mentoring, and resources to help sites achieve and maintain higher levels in Paths to QUALITY™. A 163% increase in the number of high-quality child care sites in Monroe County since 2012. Funding for preschool parent liaisons at MCCSC and RBBCSC to facilitate learning through engagement activities and events for families. Preschool parent liaisons connect nearly 300 pre-K families yearly with resources, events, and home visits. Supports Let’s Read, a literacy outreach program that provides children and families with free books, developmental guide sheets, and age-specific resources during wellness exams. 8,000 children and families receive literacy materials and developmental resources through Let’s Read each year. Prepared Monroe County for selection as an On My Way Pre-K county, Indiana’s first state-funded pre-K program for low-income families. Also serves as On My Way Pre-K county lead. Because of local commitment to access, quality, and professionalism of early learning providers, up to 200 4-year-olds are eligible for 53 weeks of state-funded, free pre-K.
Monroe County was the site for the 2017 Indiana Early Learning Summit for Community Coalitions. Monroe Smart Start was a sponsor, served on the lead planning team, coordinated the statewide conference, and welcomed 400 attendees from 60 counties to our community. FAMILIES that have access to affordable early learning programs are able to earn while children learn. Parents have opportunities to go to school, advance careers and improve their family’s financial future. COMMUNITIES that invest in quality early learning gain economic prosperity as families and children prosper. Based on numerous studies, a return of $4 to $7 for every $1 is expected, and communities benefit from future citizens who vote, pay taxes, and raise families.